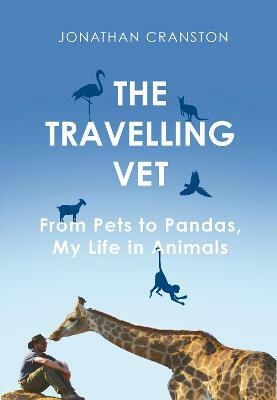 Charming tales from the life of a young vet, whose clients range from guinea pigs to giraffes. Jonathan Cranston is no ordinary vet. In addition to his day job in the Oxfordshire countryside treating cows, dogs, pigs and cats, he's also worked with an astonishing range of species around the world, including crocodiles, rhinos and pandas. In this charming collection he introduces us to some of his favourite patients, ranging from beloved family pets through to magnificent creatures of the wild. Whether microchipping armadillos, anaesthetising giraffes or advising the makers of the Jurassic World series on exactly how to operate on a velociraptor, Jonathan's love for his work and the entire animal kingdom is infectious. From the preposterous (castrating a sugar glider) to the poignant (encountering victims of rhino poaching), the stories in The Travelling Vet will delight and enthral every animal lover. Jonathan Cranston is a veterinary surgeon based in the Cotswolds who has treated over a hundred different species across five continents including giant pandas in China and all variety of wildlife in South Africa. He is also the veterinary advisor for Jurassic World Fallen Kingdom, the fifth instalment of the Jurassic Park franchise, which is due for release in June 2018.